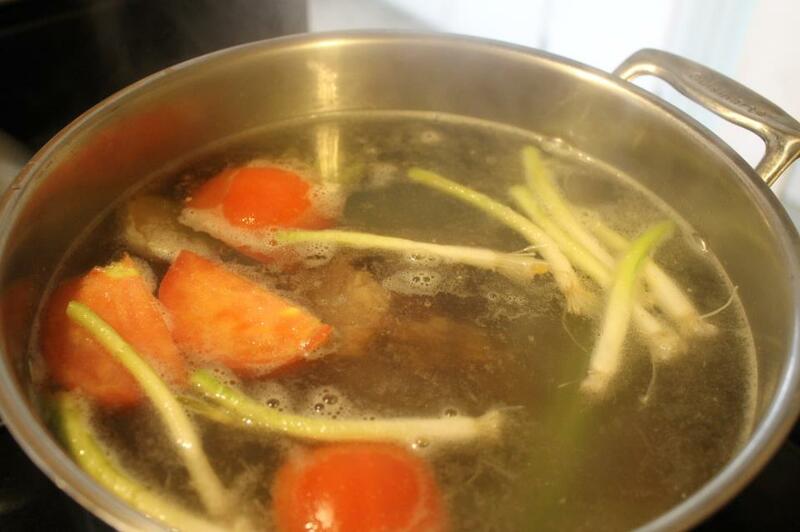 Oh I just love making homemade stock! Today I had a meaty ham bone I used to make some yummy Ham Stock. In the stock pot went the ham bone, celery, carrots, green onions, a large, fresh tomato cut into quarters (I don't always use a fresh tomato, but I had one today), and water to cover all. The only spice I added was some black pepper. Several hours later (about 3-4 hours simmering) was this delicious Ham Stock I used for this soup, then I pressure canned the remaining stock for use another time. Of course you don't have to make and use ham stock. 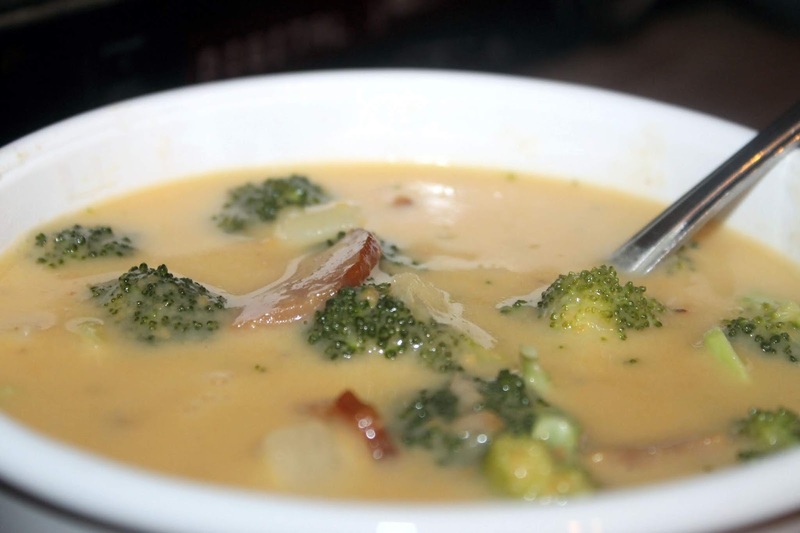 You can easily use chicken stock to make this soup. 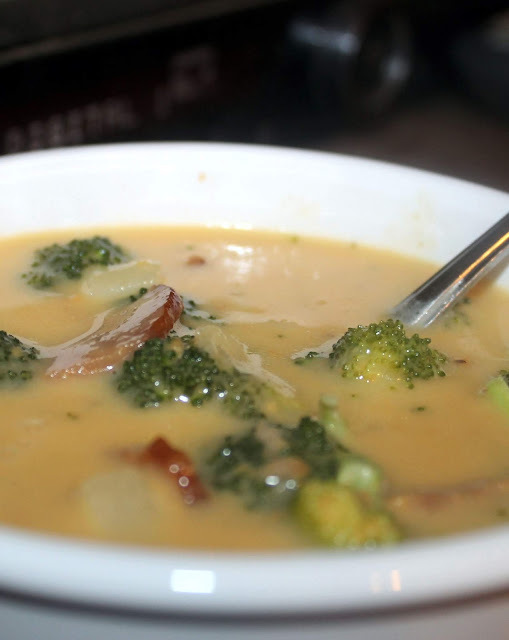 Add some meaty chunks of ham (leftover ham is a great to use in this soup), fresh broccoli florets, cubed potatoes and cheese and you'll have a hearty, delicious soup your family will love. 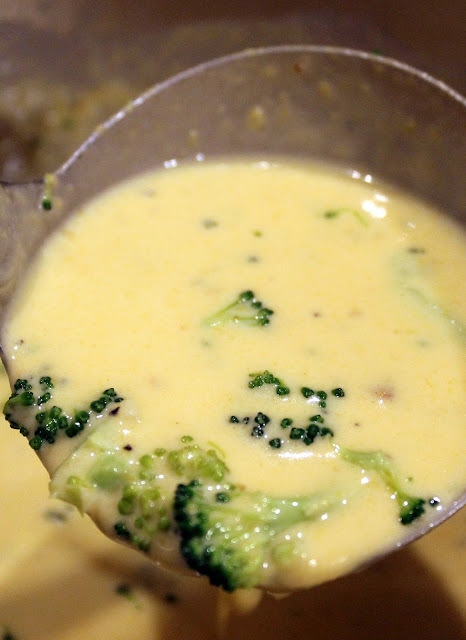 Melt butter in the bottom of a large stock pot, whisk in the flour to make a roux. Whisk in ham stock (or chicken stock), and cream; cook over medium heat until slightly thickened. 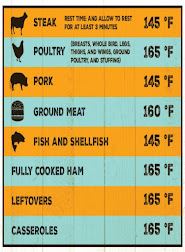 Add ham meat, celery, onion, garlic and potatoes and continue cooking until potatoes are done; stir in cheese and cook until melted. Season with salt and pepper to your taste. Add broccoli and cook until just al dente. Serve immediately with hard crusty rolls or bread, cornbread or biscuits. Delicious! I love this combination of flavors: winter perfection! :D Thanks for a great recipe!